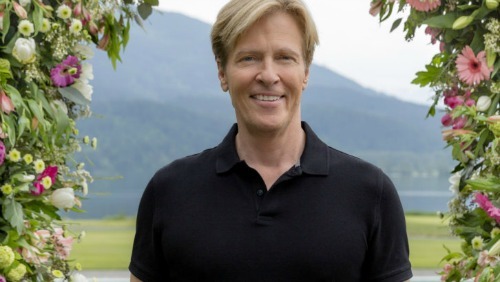 General Hospital spoilers are saddened to announce that GH fan favorite Jack Wagner (Agent Andrew “Frisco” Jones, Jr.) has experienced a tragic loss. 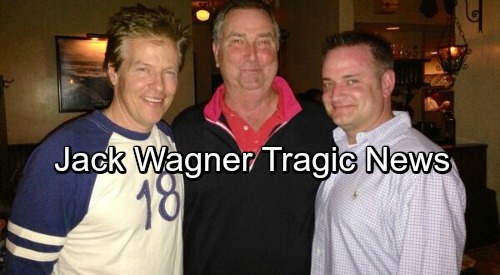 Jack’s dear brother, Dennis Wagner (middle in the pic above), has passed away. Dennis suffered from leukemia and received a bone marrow transplant 10 years ago. Unfortunately the cancer eventually took it’s toll and Dennis succumbed to the disease. Jack is a true classic soap star playing on General Hospital, Santa Barbara, The Bold and the Beautiful and Melrose place – currently Jack plays Bill Avery on When Calls The Heart. Jack’s biggest impact was in his role as Frisco Jones on General Hospital for over a decade, between the mid-eighties and the mid-nineties with a brief return in 2013. 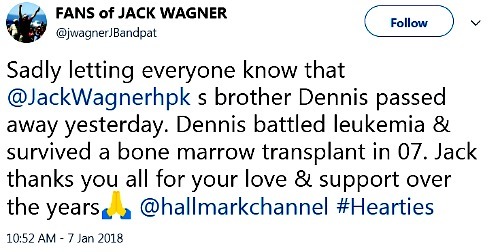 We here at CDL offer our condolences to Jack and all of his and Dennis’ family – R.I.P. Dennis Wagner. Come back to CDL for all your General Hospital news, spoilers and updates.